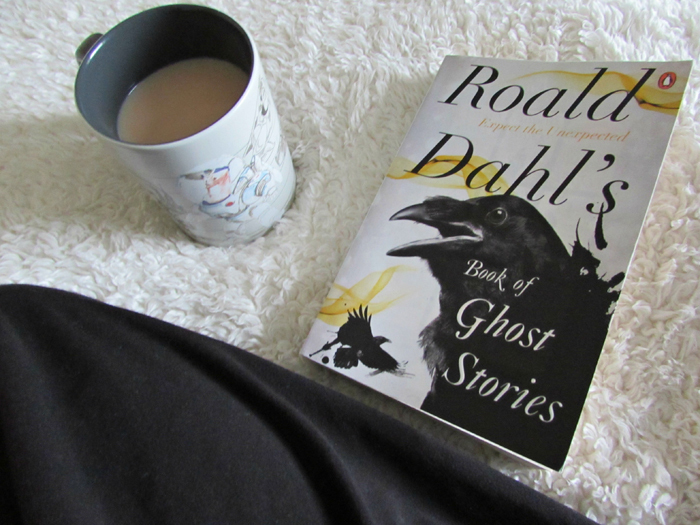 Last month I challenged myself to read Roald Dahl books from my shelf for the entire month - the challenge was pretty successful, and one of the books I completed was Roald Dahl's Book of Ghost Stories. Technically speaking, this isn't a book written by Roald Dahl - it is a book of ghost stories curated by Dahl, however I'd been wanting to read it for a while and so decided to pick it up in September. The book itself contains fourteen short ghost stories, varying in length, and each by an entirely new to me author. As detailed in the introduction, Dahl went to some lengths to find these fourteen stories, and he definitely picked some good 'uns. I enjoyed each and every story within this book. I don't want to make this post too lengthy, and so I won't be talking about all of the stories found within these pages, however I am going to share a few details about some of my favourites. Harry is the story of a little girl and her adopted family who are haunted by the ghost of her deceased brother. The story itself is less than twenty pages long, but the plot packs that spine chilling punch you want from a ghost story. Another story by the above mentioned author (the only author who features twice within the book), Christmas Meeting is no more than five pages long and tells the story of an older woman and young man who encounter one another during the festive period, but as the story progresses, you realise all is not what it seems. When Stephen Everton and his ward, Monica, move to the country, the young girl finds herself socialising with a number of young girls from within the village... Except all the girls have long since passed. Playmates is a sinister story and the feeling of foreboding is felt from very early on. Although one of the longer stories within the book, Playmates is a story that has stayed with me since completing - so well crafted. When a couple acquire a country manor, they are informed of a presence in the property, however they won't know it until afterward. The unfolding story of Afterward is really well written and a subtle ghost story, but one of the more complex within this book. Taking place largely on a ship sailing at sea, the story is that of a haunted cabin and the lengths the ship's captain and cabin occupant will go to in order to prove the presence of a ghost. The Upper Berth is the kind of story that keeps you page turning. Whilst I enjoyed all the short stories within Roald Dahl's Book of Ghost Stories, the above five are the most memorable and well written in my opinion. I'm glad to have purchased this collection of ghost stories, and see myself dipping in and out of it in the future. If you're looking for some spooky reads this Halloween, then I'd recommend checking this title out. This would be a great book for this time of year. I will have to get a copy at some point! I love ghost stories this time of year - and I see myself returning to this book year after year. Perfect October / Halloween reading! I love Roald Dahl and ghost stories, so this book seems like a win. I’ll have to look for it next time I’m at a bookstore. He has selected a number of truly spine chilling tales - really enjoyable read! This sounds amazing! I love creepy short stories and love that this was curated by Dahl. I'll definitely have to check this one out! You should, Katherine! This is one of my favourite ghost story collections to date. I am totally sold on this book - I'm off to see how fast I can get it! Haha! I hope you're able to get your hands on a copy, especially before Halloween greets us! This sounds perfect for Halloween! I put it on my GR to-read shelf when it first came out, but then forgot about it. I think I'm going to check my library for it. Even if I only read a couple in time, it would be fun for the season. And I must say that getting a reader to enjoy every story is a high achievement for a collection like this and says a lot about the quality. Good editing makes for a good collection I think! I definitely agree with you there - I always find one or two dud stories in a short story collection, so was pleasantly surprised with my reading experience here. Ah, I hope you're able to find this copy at the library; perfect Halloween reading! How Do You Feel About Matching Book Covers?